Have you ever watched the movie The Nightmare Before Christmas? It came out when I was just a teenager and I loved it! It’s a Tim Burton film that tells the story of the Pumpkin King, Jack Skellington, who comes from Halloween Town. He opens a portal to Christmas Town and decides to try and join in the festivities which has both comical and disastrous results! It’s really a film that has withstood time as it’s still a popular film today. 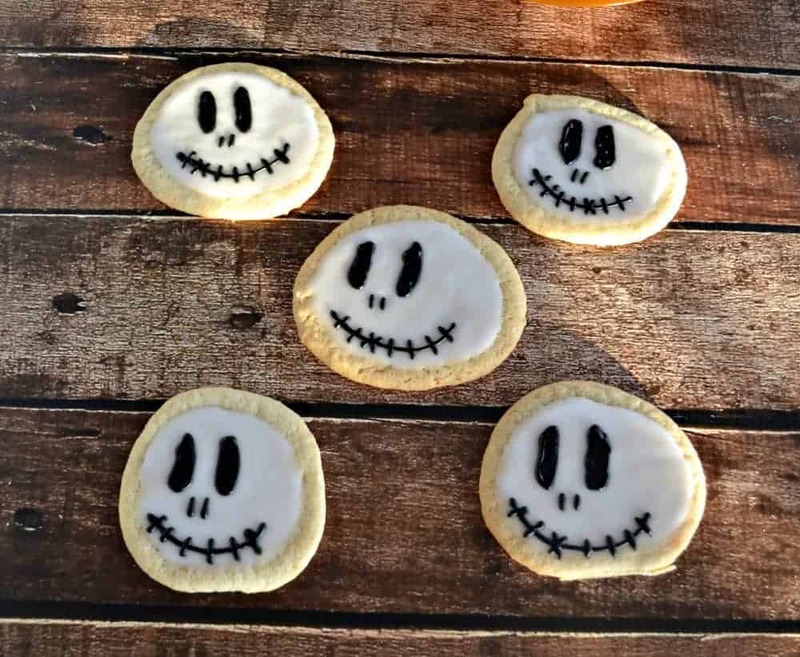 Since Jack Skillington is the Pumpkin King and is really the ruler of all of Halloween Town, I thought he would be the perfect figure to put on a cookie for my students Halloween party this year. I hoped my students would recognize him and set off making the cookies. 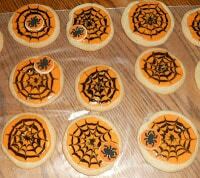 I used my standard sugar cookie recipe and cut out a bunch of circles. While I baked them I mixed up a batch of royal icing, divided it, and added black food coloring to one bowl and super white coloring to the other bowl. Once the cookies had cooled I covered them all in white royal icing. After letting that icing harden for 30 minutes I used the black icing to make the eyes and mouth. 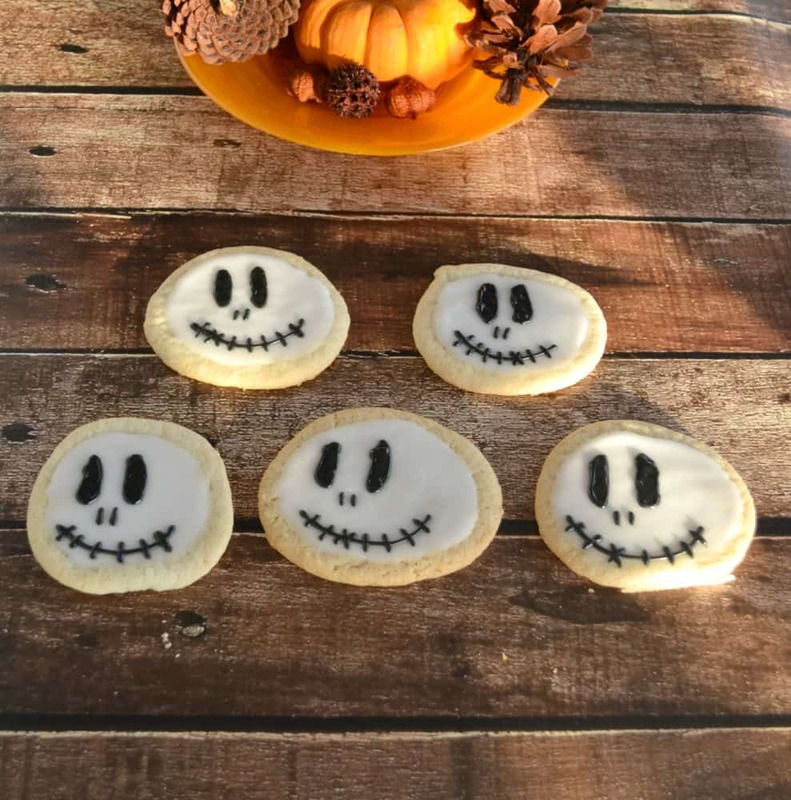 These cookies are very simple to make and because Jack is a little lopsided in the movie, you don’t need to have a steady hand. I thought the cookies were adorable and was really excited when both the students and many of the teachers recognized Jack Skellington. 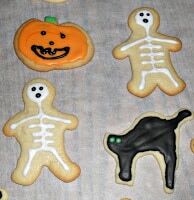 These cookies were a lot of fun to make and even more fun to eat with my students. 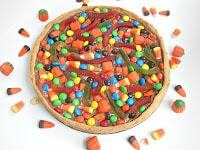 They are perfect for Halloween. 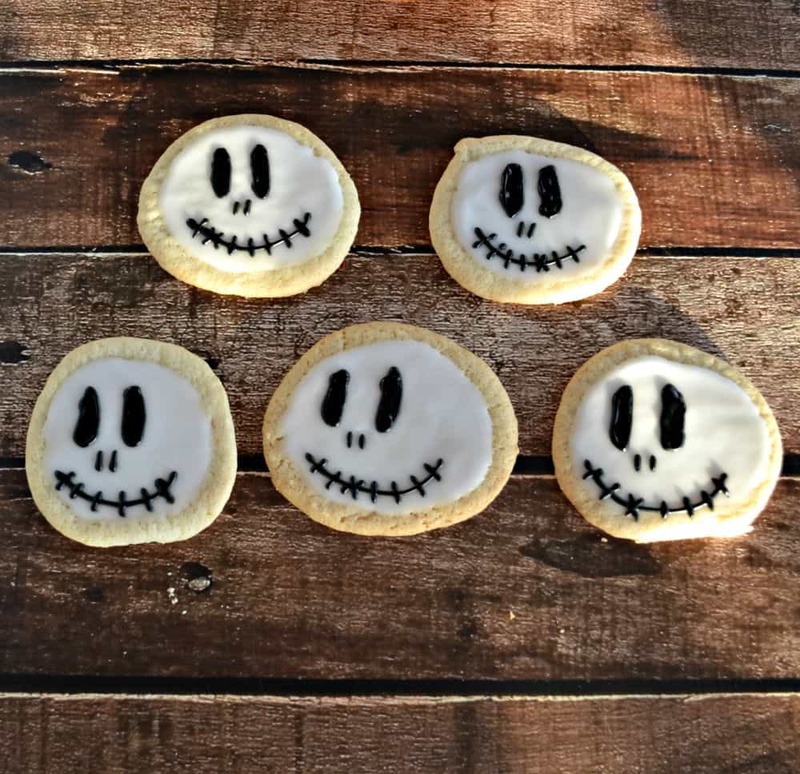 Traditional sugar cookies take a spooky turn when decorated like Jack Skellington. On a lightly floured surface roll the dough to ¼ inch thick. Cut out 30 circles. Place the cookies on a baking sheet and bake for 7-8 minutes or until they no longer look wet on top. To make the royal icing put the powdered sugar and meringue powder in a bowl. Add the water 1 tablespoon at a time, stirring well after each addition, until desired consistency is reached. Put ¾ of the frosting in one bowl and tint it super white. Tint the remaining ¼ of the frosting black. Cover the cookies with white icing. Allow to harden 30 minutes. 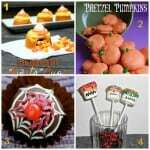 Place the black icing in a piping bag or a zip top baggie. Pipe on two oval shaped black filled eyes on each cookie. Draw a small black smile on each and then put black lines through the smile. Allow the icing to harden for at least 12 hours.